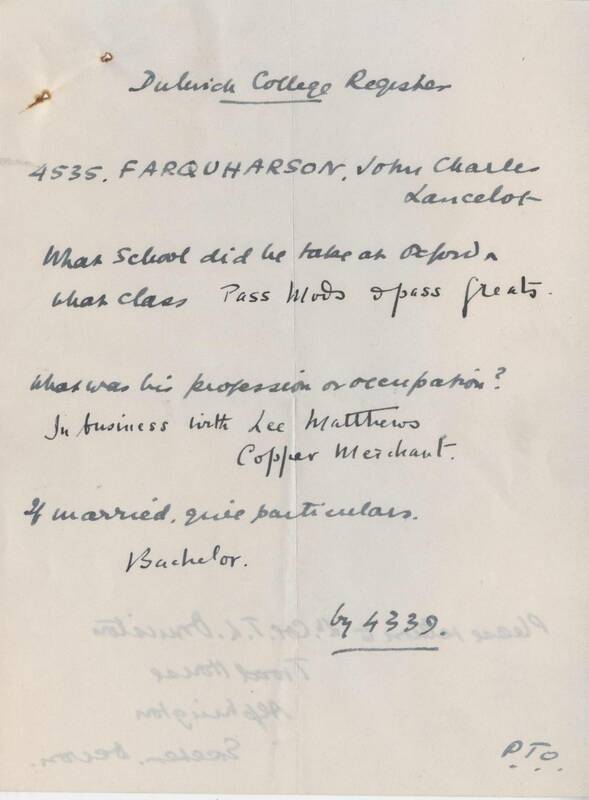 John was born in Hull on May 16th 1881, the seventh of nine sons who were amongst fourteen children born to Matthew Farquharson, a Colonel in the Royal Marines, and his wife, Emma; three of his older brothers along with his two younger ones would all also attend the College. 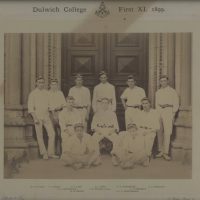 Whilst at the College he particularly stood out as a sportsman, spending two years in the first teams for both rugby and cricket. 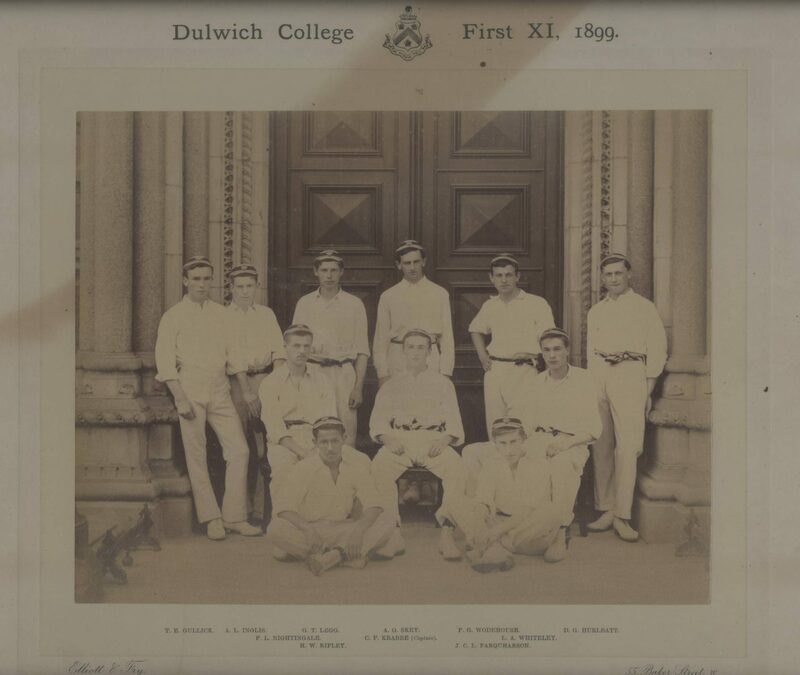 From Dulwich he went on to University College, Oxford, and whilst there maintained his rugby career. In 1903 he earned an Oxford “blue” for the sport, and was a member of the team who won that year’s varsity match, of whom seven were current or future internationals. After graduating he returned to London and took up a job working as a manager in a copper manufacturing firm. He still maintained his rugby however, joining the OAs, for whom he was captain from 1904-1907, as well as making occasional appearances for Surrey. 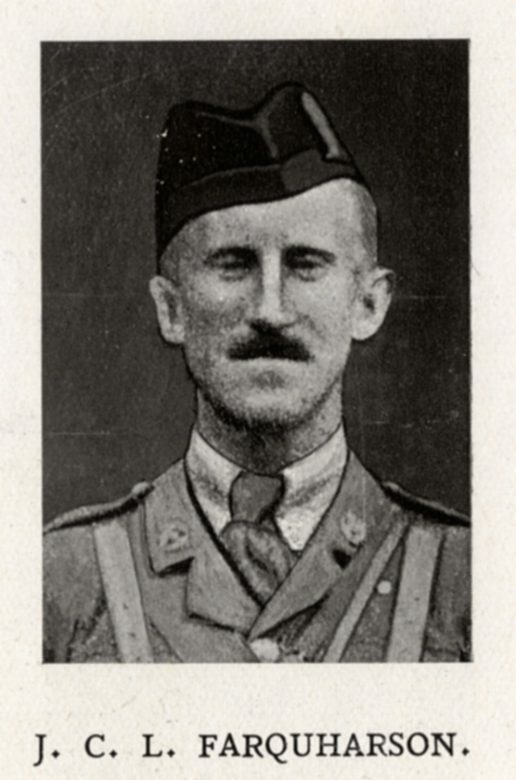 In 1908, after stepping down from the captaincy of the OAs, he became a volunteer in the Territorial arm of the London Scottish, whom he was to lead to victory in the Territorial Marathon on four occasions between 1910 and 1914. When war began in the summer of 1914 John, as a Territorial volunteer, was called up along with the rest of his regiment, and sent to France that September. On November 1st that year, after being part of an action near Messines, he was reported to be “wounded and missing”, and was never seen or heard from again.